Caleb Dressel, a swimmer from the University of Florida, is blowing minds. He’s broken the mindset rules we’ve established in swimming. If you are a sprint freestyler, you can’t be good at other events. This year he became the American Record holder in the 100 breaststroke, 200 Individual Medley (2 lengths of butterfly, backstroke, breaststroke, + freestyle), in addition to breaking his own American Records in the 50, 100 freestyle and 100 butterfly. But no one really wants to know the truth. He’s put himself through a high level of unthinkably grueling training over the past 8 years. This focus and commitment to training (and to doing hard things in general) has put him on the path to becoming the best in the world. It’s easy (and indulgent) to think that someone like Caleb simply has more talent than the rest of us. That’s not true. Beliefs like that are just a way to sabotage ourselves, to give ourselves permission to not go after what we want. 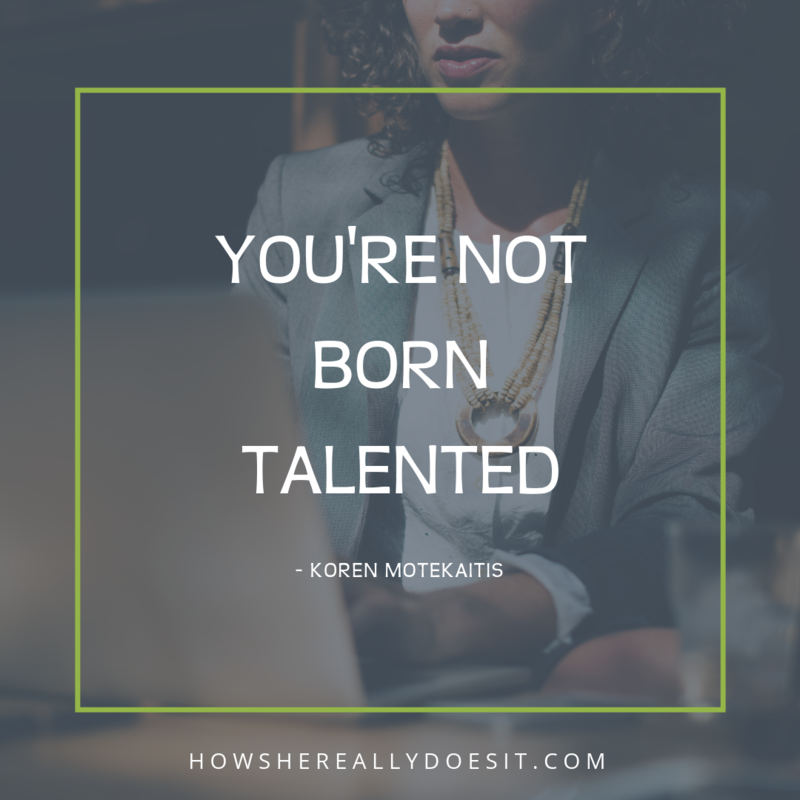 When you believe that talent is something that’s given to you, you disempower yourself. On the other hand, when you believe talent is created and earned by YOU, by the work you do over time, you empower yourself and can blow your own mind (along with everyone else’s), just as Dressel has these past two years. Remember, it was only 8 years ago that people had no idea who Dressel was … all the talk in the swimming world was about Michael Phelps. Now, just in the past 2 years people have been talking about Dressel, as his body of work is beginning to produce the results of all those years of grueling training. You’ll fall down, just as Dressel has. And you’ll get back up as you create your own talent. You create talent by focus, commitment, and practice. For more on this, listen to my interview with the incredible author of The Talent Code, Daniel Coyle.